Columbia University Press, 2012. 224 pp. On May 4, 2008, the New York Times’s Sunday edition came out with an endorsing headline about the Islamic movement led by Fethullah Gülen—“Turkish Schools Offer Pakistan a Gentler Vision of Islam”. The story covered how the movement’s schools were promoting moderate Islamic views in Pakistan. It included an interview with Mesut Kaçmaz, the principal of one of these schools, and a photo of him with his wife Meral. Nine years later, in October 2017, Mesut and Meral were declared members of the so-called “Fethullah Terrorist Organization” by the Erdoğan regime. Although a Pakistani court ruled out their deportation to Turkey, some Pakistani security officers, in illegal collaboration with their Turkish counterparts, kidnapped the Kaçmaz couple, along with their two teenage daughters. Eventually, the family was deported to Turkey, where the couple was imprisoned. The tragedy of the Kaçmaz family is not an isolated incident, but a reflection of a tectonic shift, not only about the relationship between the Turkish state and the Gülen movement, but also Turkey’s international image. When the New York Times story was published, I was in New York as a postdoctoral scholar at Columbia University, working with Alfred Stepan. He and I organized two international conferences on Turkish politics, which resulted in our co-edited volume, Islam, Democracy, and Secularism in Turkey. 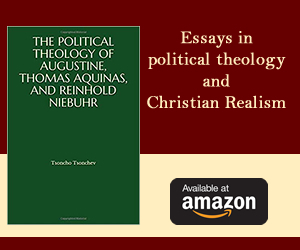 Several chapters in the volume are critical of Kemalism as Turkey’s dominant ideology. Potential problems of Islamism are also mentioned but not sufficiently elaborated. Stepan and I co-authored a chapter in which we primarily criticized assertive secularism as a barrier against democratic consolidation in Turkey. In the context of recent developments, it has appeared that our chapter was too optimistic about the Justice and Development Party (AKP)’s democratic promise. Stepan and I planned to analyze Turkey’s authoritarian turn, but did not have a chance to do so. Stepan passed away last month; it was a huge loss for political science, particularly the study of Islam and democracy. In this brief essay, I want to examine the causes of the breakdown of democracy in Turkey. 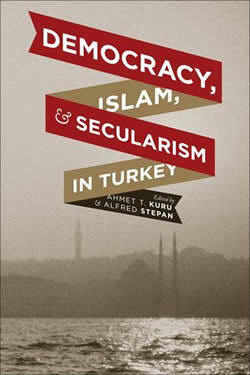 Like the chapter I co-authored with Stepan, my book Secularism and State Policies toward Religion: The United States, France, and Turkey also argued that French-type assertive secularism of the Turkish state contradicted highly religious Turkish society and this contradiction prevented the consolidation of democracy. The book suggested that if Turkey moved toward American-type passive secularism, in which the state played a passive role in tolerating public visibility of religious and secular expressions, Turkish democracy would be stronger. Contrary to the expectations of myself and many other observers, the leader of the AKP, formerly Prime Minister and currently President Tayyip Erdoğan made an authoritarian turn. This can be explained by individual, national, and international levels of analysis. At the individual level, Erdoğan has always lacked sufficient commitment to liberal principles. Until 2011, his authority was balanced by the Kemalists outside the party, other AKP politicians inside the party, and the Gülen movement crossing the party lines. After the 2011 electoral victory, Erdoğan gradually eliminated these constraints and established a one-man rule based on populist Islamism. At the national level, Turkey has had many weaknesses to become a consolidated democracy. Under the decades-long hegemony of the Kemalist military and judiciary, Turkey could not solve its problems of ideological polarization, the weakness of civil society, the state-centric characteristic of economy, and the bloody Kurdish question. Especially after the end of the Kemalist hegemony in 2011, the AKP was caught unprepared and failed miserably to deal with these complex problems. The Gülen movement also played negative roles in the ascent of authoritarianism in Turkey as explained below. Nonetheless, Kemalists cannot simply declare themselves as heroes of democracy by blaming Erdoğan and Gülen. In addition to their historical mistakes, several Kemalist actors in politics, bureaucracy, bar associations, media, and business have recently collaborated with Erdoğan in various degrees, since they have agreed with him to destroy the Gülen movement and to pursue hardliner policies in the Kurdish question. At the international level, the European Union’s unwillingness to accept Turkey as a full member strengthened anti-Westernist sentiments among many Turks. This coincided with the Arab uprisings, during which the AKP leaders, particularly Erdoğan, naively assumed that they would make Turkey a regional leader and even a global power. Erdoğan has also strengthened Turkey’s ties with Russia, as an alternative to the EU, and increasingly adopted certain characteristics of Vladimir Putin’s way of governance. The closer relations with oil-rich Russia and Arab countries have had negative impacts on Turkish domestic politics, particularly on Erdoğan’s increasing emphasis on rentierism. Unlike Russian and Arab rentier states, Turkey is oil-poor. Thus, Erdoğan’s rentier economy has been fueled by privatization of state-owned enterprises and implementing massive public and private construction projects, especially in Istanbul and Ankara. Even Atatürk’s Forest Farm, previously the main green area in the middle of Ankara, could not escape from this construction hysteria; it is now the site of Erdoğan’s 1,100-room, $1 billion-worth palace. This construction-based rentierism did not dominate Turkish political economy without resistance. Erdoğan’s attempt to turn the Gezi Park in Istanbul’s Taksim Square into a mall triggered the Gezi protests. During his violent crackdown of these protests, Erdoğan made clear that he was adamant to stay in power for good by any means, including violence, demagogy, and clientelism. Since then, Turkish political system has degenerated into a populist Islamist regime ruled by a strong man. A major turning point in Erdoğan’s move toward arbitrary rule was the corruption probe against his family and his network in December 2013. Erdoğan declared his former ally, the Gülen movement, as first the organizer of the probe and then a terrorist organization. The Erdoğan regime arrested thousands of people affiliated with the movement and began to seize their properties. On July 15, 2016, the failed coup attempt caused the death of 250 people. The incident became a national trauma that Turks are likely to endure long time. Holding Gülenists exclusively responsible, Erdoğan defined the coup attempt as a “gift from God” and used it to declare the state of emergency everlastingly. Currently, about 50,000 people affiliated with the Gülen movement, including military/police officers, business people, journalists, teachers, academics, and housewives, are in prison. The Erdoğan regime also imprisoned thousands of others for their dissent activism, such as signing a petition to call a peaceful solution to the Kurdish question. More than 600 children under the age of 6 are in prison with their mothers. Additionally, around 150,000 public employees were sacked by governmental decrees for ideological reasons, primarily accused of being Gülenists. These people lost all pensions and social security benefits, and are blacklisted through their social security numbers. In fear of being labeled as a Gülenist, private employers hesitate to offer jobs to the victims of the purge. Many of these victims have travel bans, which prevent them from starting a new life in another country. The total number of academics fired by the regime due to their oppositional views is more than 5,000. In short, it is not possible to talk about freedom of speech, freedom of association, and even the rule of law in Turkey today. Moreover, the Erdoğan regime suspended the right to private property for the Gülen movement affiliates. The regime confiscated about $15 billion-worth property, including hundreds of schools, over a dozen of universities, numerous hospitals and other institutions, and several nation-wide media outlets affiliated with the Gülen movement, as well as private companies with links to it. The Turkish courts have ruled that even downloading a particular smartphone application (ByLock), which is available in the Apple Store, or some account activities in Bank Asya (affiliated with the movement), is a sufficient evidence to sentence someone as a Gülenist, thus a member of a terrorist organization. This brief summary of the broad and tragic transformation in Turkey explains how the Kaçmaz couple, who were once celebrated as the importers of “moderate Islam” from Turkey to Pakistan, are now in Turkish jails as “terrorists” despite the fact that they were thousands of miles away when the notorious July 15 coup attempt occurred. Turkey never succeeded in becoming a liberal democracy up to the Western standards. Yet, the witch-hunt against the Gülen movement members is also unprecedented. It is particularly puzzling that such a tragic situation followed the decade-long political alliance between the AKP and the Gülen movement. Similar to the AKP, I gave credit to the Gülen movement, particularly to its contributions to education and inter-cultural dialogue in many countries. Yet the movement intellectually and politically disappointed myself and many other observers. Intellectually, the movement failed to produce a consistent set of ideas about how to live as Muslims in modern contexts. Practically, the movement has been a strong supporter of intercultural dialogue, Muslims’ better relations with Western countries, and opening schools with secular curricula. It has also strongly criticized Islamist terrorist groups. These have been among its practical achievements. Yet, theoretically, the movement has remained to be too traditionalist on such issues as gender-relations, the meaning of religious authority, the tension between critical thinking and religious dogmatism, Sunni-Shia division, the illiberal aspects of Islamic law, and Islam-state relations. Politically, the movement made major mistakes by first allying the AKP and then engaging in a zero-sum struggle against it. More specifically, the movement’s obscure relations with the military/police officers and judicial bureaucrats became a major liability for its civilian followers, particularly when these civil servants engaged in a power struggle against certain nationalists and Kemalists (who were broadly defined by the umbrella term “Ergenekon”) in 2007-2013 and then against Erdoğan in 2012-2016. At least unintentionally, these actions contributed to the breakdown of Turkish democracy. As already explained by numbers, the Gülen movement affiliates are victims of an ongoing witch-hunt. Paradoxically, however, they have not received the sympathy they have expected from the rest of Turkish society. This puzzling phenomenon is two-sided. On the one hand, various segments of Turkish society are too fragmented and polarized to show sympathy to each other. That may partially explain, but does not justify at all, the fact that most people in Turkey do not care about the ongoing persecution of thousands of innocent individuals—particularly those who are affiliated with the Gülen movement and the Kurds. On the other hand, the Gülen movement made mistakes that led to its current alienation. I want to mention three major of them. The first one is the movement’s above-mentioned relations with politics and bureaucracy. Even the critics of Erdoğan do not generally see the movement positively, because they blame it for cooperating with Erdoğan during the Ergenekon operations and for subsequently having a counterproductive fight against him. Second, the movement has long viewed itself as superior to all other groups in Turkey. Thus, it did not abide by the principles of meritocracy while favoring its followers in hiring to and promoting in various public institutions. Moreover, the movement did not accept the necessity to differentiate various spheres of life, such as religion, politics, bureaucracy, science, media, banking, and charity. Instead, it attempted to not only function in, but also dominate, almost all of these spheres. Given its lack of meritocratic principles and ambition to be influential everywhere, the movement gained enemies from almost all other religious, political, and interest groups in Turkey. Third and finally, the movement has been plagued by a major incongruence between its size and its management structure. Although it has functioned over a hundred countries in various issues, the movement has preserved an opaque, hierarchical, and mystical decision-making structure. This has led many in Turkey and beyond to hold suspicion about the true nature and goals of the movement, despite its strong public relations efforts. To resolve this problem, the movement has employed an ambiguous language as a communication strategy. Unsurprisingly, this strategy has backfired and deepened the trust problem between the movement and its interlocutors. If the Gülen movement’s followers self-critically reflect on these mistakes, they can make some positive contributions to Turkey or other countries they function as civil society actors in the future. Nevertheless, instead of critical thinking, Gülen has recently promoted fatalism in his speeches. Such a discourse may indeed help his followers avoid radicalism, hopelessness, and depression, but it also prevents them from learning lessons from recent tragic experiences. The criticisms I offered to the Gülen movement are reflections of general problems that apply to all groups in Turkish sociopolitical fabric. You can find individuals defending meritocratic principles in Turkey, but it is almost impossible to see a major group truly practicing meritocracy. Rejecting to differentiate spheres of life, leader-centrism, and ideational inconsistencies are also widespread problems in almost all segments of Turkish society. The great expectation about Turkey becoming a model “Muslim democracy” has entirely failed. All major Turkish groups, the AKP, the Gülen movement, and the Kemalists have shared responsibility in this failure. In the near future, the populist Islamist regime of Erdoğan may create a reaction in the form of a strong secularist backlash. This may remind the rise of Young Turks in reaction to Sultan Abdülhamid II. A more optimistic future scenario is also possible if various groups regard each other as parts of the same nation, rather than enemies to be destroyed. In such a scenario, Turkey may become an electoral democracy again. The recent tragic process may turn into a learning opportunity if all groups try to draw lessons. Ahmet T. Kuru is Professor of Political Science at San Diego State University. Kuru is the author of award-winning Secularism and State Policies toward Religion: The United States, France, and Turkey (Cambridge University Press, 2009), and the co-editor of Islam, Democracy, and Secularism in Turkey (Columbia University Press, 2012). His new book, Islam, Authoritarianism, and Underdevelopment: A Global and Historical Comparison, will be published by Cambridge University Press.